Suitable for games played with Colonial Charter or Mega Mod. 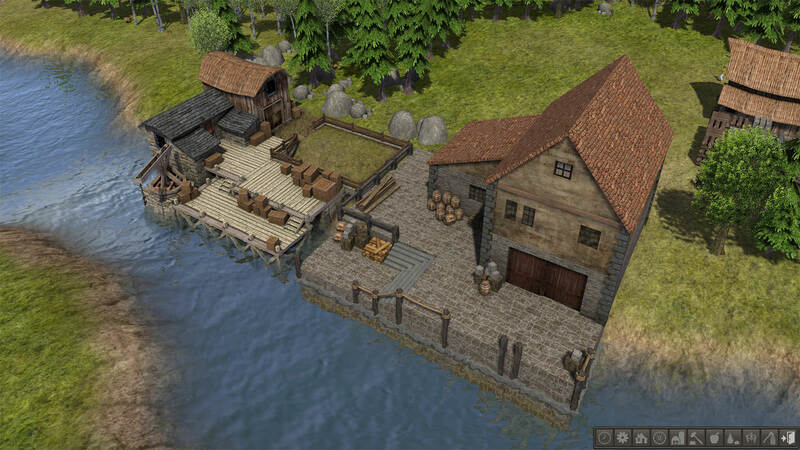 v1.1 - many buildings now require Lumber, I suggest also playing with DS Lumber Mill mod enabled. Coke is flagged as an Industrial Fuel (Custom3) using the new resource flags of Banished v107. - IMPORTANT! - you must also download this Patch mod to fix issue of not being able to build furnace. 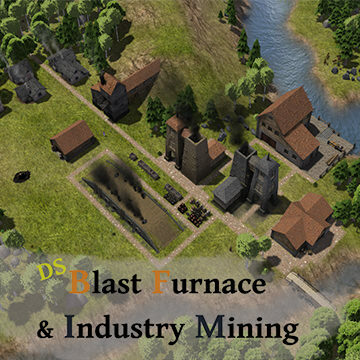 - Place the file 'DSBlastFurnace.pkm' (.pkm size = 28.8MB/29,514KB) inside your 'Banished/WinData' folder. the Normal version MUST have Banished v1.0.7 beta2. It is also recommended to play with CC or MM for the production of Candles, as well as the matching Iron Ore industry. Hmmm... playing without CC - so how do I build the Industry Mine? Looks awesome will be great to park one of Red's Choo Choo goods wagons underneath that shoot from the big mine! Finally got upgraded to 1.0.7 and had a look at this set. This is a very, very nice set of mods. Thank you, @Discrepancy . It's amazing. I think I made too many coke ovens, which are awesome, but I'm going to play with it and see about getting the proportions more in line. The coke oven is one of the cooler buildings I've seen yet, by the way. And the new townhouses go with this perfectly. Already getting some ideas for using this in my next map. Still getting mods loaded and about to do a hardware upgrade this weekend, but once that's done I will give it a closer look and give it a go in a larger game for sure. Really fantastic. Thank you, again. This one is going to be super fun. I seem to have a problem with candles. Maybe someone else has experienced this? I have all of the DS Stuff to make the candles for the Industry Mine, Village bee shelter, confirmed that it is making beeswax, Village Candle maker - set to making candles. The beeswax shows in inventory, but the candle maker will not get any and make candles, (I don't use the CC or MegaMod) Ideas? @adelegarland look up on this thread to Discrepancy's comment on May 15 regarding candles. Duh! *Smacks herself in the head! When is Discrepancy coming back to us? Wish I knew, we all miss him. I have this mod under CC. 1. make Coke as industriel fuel ? 2. to set the limits for charcoal and firewood stand-alone ? 1. make Coke as industriel fuel? I just played a round (without CC though) and it is industrial fuel... maybe put it above CC? But Charcoal is than also industrie. also the candle issue has been fixed, that was an issue with DS Small Village: Production and was rectified in the last update of that mod. Awesome, thank you. I use this mod a lot and looking forward to checking out the new building requirements and the trader! Small request...Only if it's not a lot of trouble, of course, but would an override to keep Charcoal in Industrial Fuel be possible? place this patch above DS Blast Furnace & Industry Mining to change Charcoal to an Industrial Fuel. also place above any other mod that adds Charcoal as resource.